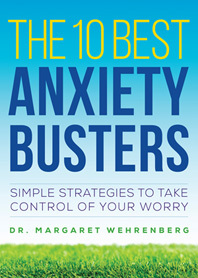 The 10 Best Anxiety Busters - Description | W. W. Norton & Company Ltd. Suffer from a fear of flying? Break out in a sweat during presentations? Experience a sudden panic attack when in a confined space, like an elevator? Whether you’re struggling with mild anxiety or battling more severe phobia or panic, these are common experiences that affect millions of people. So what are the perennially anxious to do? 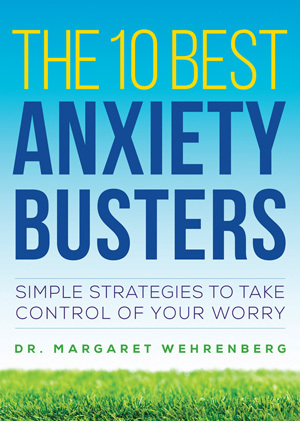 In ten simple techniques, this pocket-sized, anxiety-busting guide boils down the most effective remedies for worry and anxiety, whether chronic or in the moment. From breathing exercises and relaxation practices to thought-stopping techniques, worry "containment", effective self-talk, and strategies that put an end to catastrophising once and for all, it’s your go-to guide when anxiety levels begin to boil. Throw it in your carry-on, stow it in your briefcase, or keep it in your desk when you need a quick reminder of some easy techniques that can turn your anxiety from overpowering to manageable in no time.